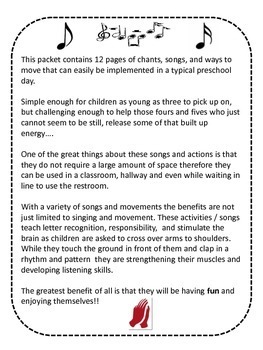 This packet contains 12 pages of chants, songs, and ways to move that can easily be implemented in a typical preschool and elementary school day. Simple enough for children as young as three to pick up on, but challenging enough to help those fours and fives who just cannot seem to be still, release some of that built up energy. One of the great things about these songs and actions is that they do not require a large amount of space. 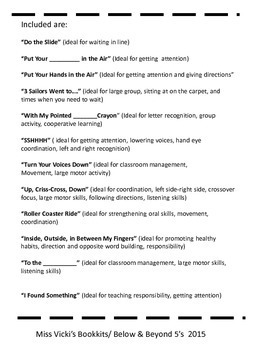 With a variety of songs and movements the benefits are not just limited to singing and movement. 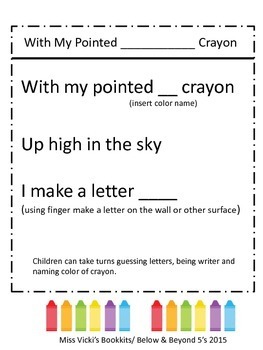 These activities / songs teach letter recognition, responsibility, and stimulate the brain as children are asked to cross over arms to shoulders. 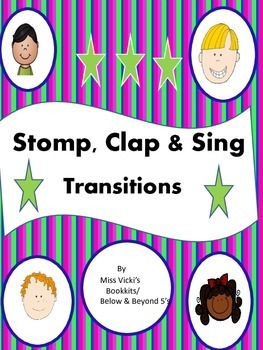 While they touch the ground in front of them and clap in a rhythm and pattern they are strengthening their muscles and developing listening skills. The greatest benefit of all is that they will be having fun and enjoying themselves! !